1.1 Can I lose weight with Victoza? 2 How does Victoza contribute to weight loss? 2.1 Who can use Victoza? 2.4 Who shouldn’t use Victoza? Weight management is crucial for a healthy life. Being overweight or obese can put your health in great danger. 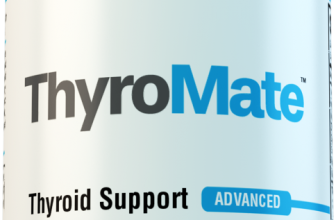 Excess weight is not only a symptom of thyroid dysfunction, but it also aggravates symptoms of the underactive thyroid gland. It’s needless to mention weight gain is closely tied to diabetes, heart problems, arthritis, and what not. Weight loss is not a mission impossible, but a goal you can achieve with a proactive approach. Besides lifestyle modifications, some people may need medications to kick-start their weight loss. Different medications can aid the weight loss process, and Victoza is considered to be one of them. What is Victoza? Does it work? Read on to get answers to these questions and learn other important things about this drug. Some of you probably use Victoza on a daily basis while others aren’t familiar with this medication. Before we move on to discuss whether it can boost weight loss, it’s useful to get informed about the drug. Victoza is a brand name of the generic drug called liraglutide, a medication formulated with a purpose to regulate blood sugar levels in people with type 2 diabetes. Liraglutide is a glucagon-like peptide-1 (GLP-1) receptor agonist indicated to improve glycemic control, but it also has the potential to reduce the risk of cardiovascular disease in persons with type 2 diabetes and established heart disease. The drug, developed by pharmaceutical company Novo Nordisk, was first approved by the FDA in 2010 for the treatment of type 2 diabetes. 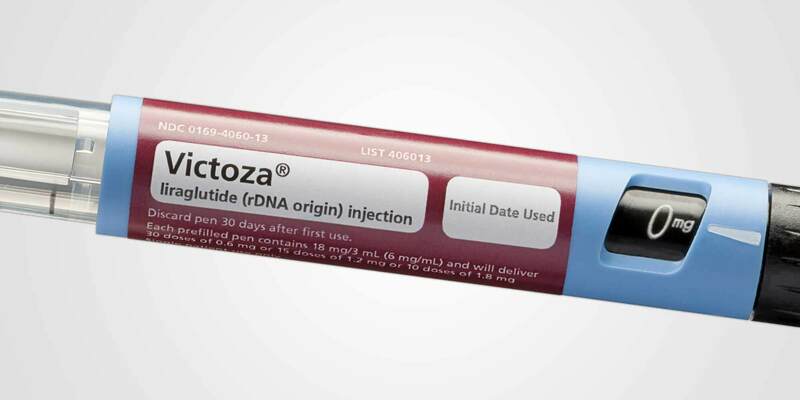 Two years later, in 2012, the manufacturer received approval from FDA to update Victoza product label to include data showing super blood glucose control when compared to Januvia (sitagliptin). In August 2017, Victoza is also approved by FDA to reduce the risk of three major adverse cardiovascular events in type 2 diabetes patients[i]. Although formulated for diabetic individuals Victoza is a non-insulin drug that starts to lower blood sugar levels in as soon as two weeks. The drug comes in a prefilled pen that a patient should use once a day meaning it’s not that difficult to incorporate it into your daily life even if the schedule is hectic and busy. It’s important to mention that besides FDA approvals for blood sugar control and reduction of cardiovascular disease risk factors in persons with type 2 diabetes the drug is not an approved weight loss product. Can I lose weight with Victoza? As mentioned above, FDA didn’t actually approve Victoza for weight loss, but it doesn’t mean this effect is nonexistent. Even though this subject needs to be studied more thoroughly, current evidence is promising. For instance, the March 2017 issue of the journal Obesity Science and Practice published an interesting study which revealed that Victoza could indeed boost weight loss. Mehta et al. carried out a review whose main purpose was to assess the safety and efficacy as well as clinical applicability of liraglutide for weight management. They looked for literature published in the English language in the PubMed database. The search yielded five randomized, placebo-controlled trials involving the drug and its impact on weight loss. Findings revealed that liraglutide consistently resulted in four to six-kilogram weight loss when used in combination with well-balanced diet and regular physical activity. What’s more, when scientists compared effects of liraglutide to other weight loss agents they found that Victoza was more effective. They concluded the review explaining that liraglutide helps induce and sustain weight loss in obese patients. Its efficacy is comparable and even greater than with some other weight loss medications, but liraglutide also offers a unique benefit of improved glycemic control[ii]. Pi-Sunyer et al. carried out a different study whose findings were published in the New England Journal of Medicine. The 56-week trial involved 3731 patients who didn’t have type 2 diabetes but had a BMI 30 or BMI at least 27 if they had treated or untreated hypertension or dyslipidemia. Some subjects received 3.0mg liraglutide while others were assigned to the placebo group. After a 56-week study period patients in the liraglutide group had lost a mean of 8.4±7.3kg of body weight while their counterparts in placebo groups lost only 2.8±6.5kg. The best evidence of efficacy of liraglutide is that 63.2% of subjects lost at least 5% of their body weight while only 27.1% participants in the placebo group achieved that. Also, at least 33.1% of subjects in the liraglutide group lost more than 10% of their total body weight compared to 10.6% in the placebo group. Scientists concluded that 3mg liraglutide as an adjunct to diet and exercise was strongly associated with reduced body weight and improved metabolic control[iii]. Yet another study on this topic had promising results. Santilli et al. analyzed the effects of liraglutide on weight loss, fat distribution, and other factors in obese participants with prediabetes or early stage of type 2 diabetes. For the purpose of the study, they randomized 62 metformin-treated obese participants to 1.8mg/day liraglutide or lifestyle counseling. The multiple-sampling oral glucose tolerance test was used to assess changes in SAT (subcutaneous adipose tissue) and VAT (visceral adipose tissue) levels. Findings showed that subjects lost a considerable amount of weight, but those in the liraglutide group experienced a significantly higher reduction in VAT. The drug also had a favorable impact on β-cell function. Scientists explained that liraglutide’s effects of visceral obesity make it reasonable agent for weight regulation in persons who have prediabetes or early stage of type 2 diabetes[iv]. How does Victoza contribute to weight loss? A growing body of evidence confirms the weight loss potential of Victoza, but a lot more research is needed for an in-depth insight into this subject. You’re probably wondering how Victoza can help you lose weight, and it could be down to the very own nature of liraglutide. The drug works like a hormone that your body produces naturally, glucagon-like peptide-1 (GLP-1). The hormone is produced to regulate appetite. So, with the regular intake of the drug, you feel less hungry due to appetite suppression. By activating areas of your brain that regulate appetite the drug prevents overeating, which is one of the most common reasons why people keep gaining weight. Not only you get to avoid overeating, but the drug also makes you feel full for longer thus helping you decrease cravings. Millions of people around the globe have problems such as eating too much and too often, particularly unhealthy foods. Their weight loss strategies sometimes don’t work because they’re unable to control how much they eat and find it difficult to resist cravings. A positive thing about Victoza is that it addresses these common problems. User decreases calorie intake and sets a healthy tone to their weight loss. But, it’s important to mention that the use of this medication should be accompanied by well-balanced diet and regular physical activity. As seen above, all studies focused on the use of liraglutide in adjunction to diet modifications and exercise. What you need to bear in mind that using Victoza can boost your weight loss, but it is not a miraculous solution, i.e. you still need to make some effort and introduce healthier measures into your lifestyle. Also, it’s not a typical weight loss medication, i.e. it’s only prescribed for patients who have diabetes so you shouldn’t consider it as some pill that you can buy online or in drugstores. You need a prescription for Victoza and doctor will prescribe it only when it’s really necessary. As mentioned above, Victoza is usually prescribed to patients as an adjunct to diet and exercise to improve glycemic control in persons with type 2 diabetes. It is also given to reduce the risk of major adverse cardiovascular events in adults with type 2 diabetes and established cardiovascular disease. Since weight gain is associated with diabetes, your doctor may prescribe it with the hope it will help keep weight in a healthy range. However, if you want to slim down a few pounds then Victoza, or any other pill for that matter, is not a solution. There is no specific dose of Victoza that is considered optimal for weight loss, and even the studies focused on different dosages. The doctor is the one who recommends a certain dose. The drug comes in a prefilled pen that is to be injected under the skin of your thigh, abdomen, or upper arm. Each pen delivers 0.6mg, 1.2mg, or 1.8mg dose of liraglutide. Generally speaking, patients usually start with the lowest dose, 0.6mg, for one week. Then, dose increases to 1.2mg then eventually to 1.8mg. Patients are encouraged to administer their injections around the same time every day[v]. All drugs come with a certain risk of side effects, and Victoza is not an exception. In fact, the drug can have some serious adverse reactions and patients need to be aware of all the risks before they start taking it. That’s the subject you need to discuss with your doctor. Before the physician prescribes the drug make sure you inform them about all the drugs you’re taking, health conditions you (or your family members) have, and other factors that could play a role in the way your body handles the drug. According to the official website of Victoza, the drug may increase the risk of thyroid tumors and cancer. That’s why patients should consult their doctor if they notice swelling in their neck, hoarseness, trouble swallowing, and shortness of breath. Victoza may also contribute to pancreatitis. The drug delays gastric emptying, and it may impact absorption of concomitantly administered oral medications. Inform your doctor if you’re taking insulin or some other medications for diabetes including sulfonylureas, glimepiride, glipizide, glyburide[vi], and others. Victoza is a brand name of the generic drug called liraglutide. This is an FDA-approved drug for the management of blood sugar levels, but it is also used to decrease cardiovascular disease symptoms in patients with type 2 diabetes. A growing body of evidence confirms the drug can help users lose weight and maintain it. More studies on this topic are needed to elucidate its full effects on weight management.